If science is your strong suit and a role in food testing, pathology or another type of lab is your goal, then CIT's Laboratory Technology qualifications could see you working in an industrial, school or another laboratory setting. The Certificate III covers the skills and knowledge required to perform a limited range of laboratory operations across all industry sectors. If you want to be skilled to perform a more specialised range of techniques for a medical pathology career, Certificate IV is for you. The course will qualify you to perform biological procedures. Description: This unit of competency describes the skills and knowledge to plan and complete tasks individually or in a team context. The tasks involve established routines and procedures using allocated resources with access to readily available guidelines and advice. Work plans may need to be modified with supervisor agreement to suit changing conditions and priorities.This unit of competency applies to instrument operators, laboratory assistants and technical assistants working in all industry sectors.No licensing or certification requirements exist at the time of publication. However, regulations and/or external accreditation requirements for laboratory operations exist, so local requirements should be checked. Relevant legislation, industry standards and codes of practice within Australia must also be applied. Description: This unit of competency describes the skills and knowledge to apply quality principles to laboratory/field work to achieve quality outcomes.This unit of competency apples to samplers/testers, production operators and laboratory/field assistants working in all industry sectors. These personnel have roles and responsibilities within the workplace's quality system which are set out in quality manuals and workplace procedures.No licensing or certification requirements exist at the time of publication. However, regulations and/or external accreditation requirements for laboratory operations exist, so local requirements should be checked. Relevant legislation, industry standards and codes of practice within Australia must also be applied. Description: This unit of competency covers the ability to record and store data, perform simple calculations of scientific quantities and present information in tables and graphs. The unit of competency requires personnel to solve predictable problems using clear information or known solutions. Where alternatives exist, they are limited or apparent. This unit of competency is applicable to production operators, field assistants and laboratory assistants working in all industry sectors. While no specific licensing or certification requirements apply to this unit at the time of publication, laboratory operations are governed by relevant legislation, regulations and/or external accreditation requirements. Local requirements should be checked. Description: This unit of competency describes the skills and knowledge to follow work health and safety (WHS) policies and procedures, deal with the identification and control of hazards, work safely at all times, follow emergency response procedures and contribute to the maintenance of workplace safety. This unit of competency applies to laboratory assistants and instrument operators working in all industry sectors. WHS responses are restricted to a 'first response' approach, including the notification of appropriate workplace personnel. Workers will be provided with clear directions, information, training and appropriate supervision. No licensing or certification requirements exist at the time of publication. However, regulations and/or external accreditation requirements for laboratory operations exist, so local requirements should be checked. Relevant legislation, industry standards and codes of practice within Australia must also be applied. Description: This unit of competency describes the skills and knowledge to clean laboratory work surfaces, clean and store laboratory equipment and monitor laboratory stocks under direct supervision.This unit of competency applies to laboratory assistants and instrument operators working in all industry sectors. It forms a major part of the work of laboratory assistants, who work in accordance with work instructions and standard operating procedures (SOPs) which incorporate all relevant aspects of work health and safety (WHS) legislation and the codes, guidelines, regulations and Australian Standards applying to environmental hazards and dangerous goods.No licensing or certification requirements exist at the time of publication. However, regulations and/or external accreditation requirements for laboratory operations exist, so local requirements should be checked. Relevant legislation, industry standards and codes of practice within Australia must also be applied. Description: This unit of competency describes the skills and knowledge to prepare samples and perform tests and measurements using standard methods with access to readily available advice from supervisors. This unit of competency applies to laboratory/field assistants working in all industry sectors. In general, they do not calibrate equipment and make only limited adjustments to the controls. They do not interpret or analyse results or troubleshoot equipment problems.No licensing or certification requirements exist at the time of publication. However, regulations and/or external accreditation requirements for laboratory operations exist, so local requirements should be checked. Relevant legislation, industry standards and codes of practice within Australia must also be applied. Description: This unit of competency describes the skills and knowledge to prepare working solutions and to check that existing stocks of solutions are suitable for use. Working solutions include those required to perform laboratory tests. Personnel are required to calculate quantities and make dilutions.This unit of competency applies to laboratory assistants working in all industry sectors. No licensing or certification requirements exist at the time of publication. However, regulations and/or external accreditation requirements for laboratory operations exist, so local requirements should be checked. Relevant legislation, industry standards and codes of practice within Australia must also be applied. Description: This unit of competency describes the skills and knowledge to perform aseptic techniques to maintain the integrity of both the sample source and the sample. It applies to sampling techniques in tissue culture and to generic microbiological procedures.This unit of competency applies to laboratory assistants and technicians working in the field or laboratory in the biomedical, biological, food processing and environmental industry sectors.No licensing or certification requirements exist at the time of publication. However, regulations and/or external accreditation requirements for laboratory operations exist, so local requirements should be checked. Relevant legislation, industry standards and codes of practice within Australia must also be applied. Description: This unit of competency describes the skills and knowledge to set up a light microscope for optimum resolution, to prepare routine samples and to observe, identify and report sample characteristics. This unit of competency applies to laboratory or technical assistants in all industry sectors. The unit of competency covers limited interpretation and analysis of results. Troubleshooting of equipment and procedures is not required.No licensing or certification requirements exist at the time of publication. However, regulations and/or external accreditation requirements for laboratory operations exist, so local requirements should be checked. Relevant legislation, industry standards and codes of practice within Australia must also be applied. Description: This unit of competency describes the skills and knowledge to exercise good laboratory practice (GLP) and effective participation in quality improvement teams. 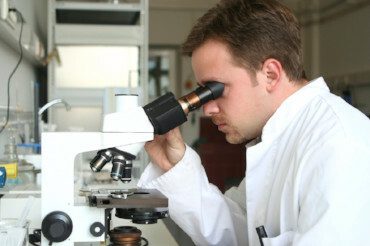 Personnel are required to ensure the quality and integrity of their own work, detect non-conformances and work with others to suggest improvements in productivity and quality.This unit of competency applies to laboratory technicians working in all industry sectors who contribute to quality improvements in areas or processes associated with their own job function and/or specialisation. This unit of competency is relevant to experienced technical officers who may work individually or as part of a team.No licensing or certification requirements exist at the time of publication. However, regulations and/or external accreditation requirements for laboratory operations exist, so local requirements should be checked. Relevant legislation, industry standards and codes of practice within Australia must also be applied. Description: This unit of competency describes the skills and knowledge to interpret work requirements, prepare samples, and perform routine biological procedures. These procedures may involve several steps and are used to classify organisms and biologically active compounds by analysing their biological and/or chemical characteristics. This unit includes interpretation of results and troubleshooting obvious departures from standard procedures.This unit of competency applies to technical assistants working in the biomedical, environmental, biotechnology and education industry sectors.No licensing or certification requirements exist at the time of publication. However, regulations and/or external accreditation requirements for laboratory operations exist, so local requirements should be checked. Relevant legislation, industry standards and codes of practice within Australia must also be applied. Description: This unit of competency covers the ability to retrieve data, evaluate formulae and perform scientific calculations, present and interpret information in tables and graphs and keep accurate records. The unit requires personnel to solve problems of limited complexity where the information may be less obvious, but not contradictory, and can be determined by direct reasoning. This unit of competency is applicable to laboratory assistants, field/laboratory technicians and instrument operators in all industry sectors. While no specific licensing or certification requirements apply to this unit at the time of publication, laboratory operations are governed by relevant legislation, regulations and/or external accreditation requirements. Local requirements should be checked. Description: This unit of competency covers the ability to follow work health and safety (WHS) policies and procedures, deal with the identification and control of hazards, work safely at all times, follow emergency response procedures and contribute to the maintenance of workplace safety. This unit of competency is applicable to laboratory assistants and instrument operators working in all industry sectors. WHS responses are restricted to a 'first response' approach, including the notification of appropriate workplace personnel. Workers will be provided with clear directions, information, training and appropriate supervision. While no specific licensing or certification requirements apply to this unit at the time of publication, laboratory operations are governed by relevant legislation, regulations and/or external accreditation requirements. Local requirements should be checked. Description: This unit of competency covers the ability to manage the day-to-day running of science teaching laboratories and the preparation of practical experiments, demonstrations and field trips. This unit of competency is applicable to technical assistants and technical officers working in the secondary and tertiary education sectors. It also applies to zoos, aquariums and museums that run education programs. Personnel are required to assess and treat risks associated with practical activities. Some personnel may have the additional role of fire warden, first aid officer or work health and safety (WHS) representative. They may also have other skills, such as maritime, SCUBA diving or trade qualifications. They may work autonomously but are required to liaise closely with teaching staff about the design and scheduling of practical activities. While no specific licensing or certification requirements apply to this unit at the time of publication, laboratory operations are governed by relevant legislation, regulations and/or external accreditation requirements. Local requirements should be checked. Description: This unit of competency covers the ability to prepare, standardise and monitor the quality of solutions. This unit of competency is applicable to laboratory technicians working in all industry sectors. While no specific licensing or certification requirements apply to this unit at the time of publication, laboratory operations are governed by relevant legislation, regulations and/or external accreditation requirements. Local requirements should be checked. Description: This unit of competency covers the ability to interpret chemical test requirements, prepare samples, conduct pre-use and calibration checks on equipment and perform routine chemical tests/procedures. These tests will involve several measurement steps. The unit includes data processing and interpretation of results and tracking of obvious test malfunctions where the procedure is standardised. However, personnel are not required to analyse data, optimise tests/procedures for specific samples or troubleshoot equipment problems where the solution is not apparent. This unit of competency is applicable to laboratory or technical assistants and instrument operators in all industry sectors. While no specific licensing or certification requirements apply to this unit at the time of publication, laboratory operations are governed by relevant legislation, regulations and/or external accreditation requirements. Local requirements should be checked. Description: This unit of competency covers the ability to interpret work requirements, prepare samples, conduct pre-use and calibration checks on equipment, and perform routine biological procedures. These procedures may involve several steps and are used to classify cell types, species and biologically active compounds by analysing their biological and chemical characteristics. This unit includes data processing, interpretation of results and troubleshooting obvious departures from standard procedures. This unit of competency is applicable to technical assistants working in the biomedical, environmental, biotechnology and education industry sectors. While no specific licensing or certification requirements apply to this unit at the time of publication, laboratory operations are governed by relevant legislation, regulations and/or external accreditation requirements. Local requirements should be checked. Description: This unit of competency covers the ability to contribute to the culture, isolation and identification of microorganisms, such as bacteria, fungi, viruses, protozoans, algae and parasites, in order to investigate the physiology and pathology of plants and animals, monitor the natural environment, and to assist in the production of foods, pharmaceutical goods and other manufactured materials. This unit of competency is applicable to laboratory technicians and technical officers working in the biomedical, biotechnology, environmental, manufacturing and food processing industry sectors. The results of work performed by technical personnel would normally be integrated, interpreted and reported on by scientists, medical, veterinary or plant pathologists or other responsible officers in a workplace. Although a supervisor may not always be present, the technician will follow standard operating procedures (SOPs) that will clearly describe the scope of permitted practice in modifying testing procedures, interpreting of data and for communicating test results to people outside the laboratory. It is applicable to investigations as well as addressing the broader needs of biotechnology and tissue culture applications. While no specific licensing or certification requirements apply to this unit at the time of publication, laboratory operations are governed by relevant legislation, regulations and/or external accreditation requirements. Local requirements should be checked. Description: This unit of competency covers the ability to determine levels, function, activity and interactions of cellular and plasma components of blood using tests and procedures identified with the discipline of laboratory haematology. This unit of competency is applicable to laboratory technicians and technical officers working in the biomedical industry sector. While this unit focuses on the laboratory investigation of human physiology and pathology, it reasonably describes aspects of work performed in veterinary settings. The unit of competency assumes that technical personnel would perform tests and procedures under close supervision. The results of their work would also normally be integrated, interpreted and reported on by supervising scientists and medical pathologists. Although a supervisor may not always be present, the technician will follow standard operating procedures (SOPs) that will clearly describe the scope of permitted practice in modifying testing procedures, interpreting data and for communicating test results to people outside the laboratory. People performing haematology tests will meet the requirements of the laboratory that they are working in regarding the education and training they must have to perform the tests. While no specific licensing or certification requirements apply to this unit at the time of publication, laboratory operations are governed by relevant legislation, regulations and/or external accreditation requirements. Local requirements should be checked. Certificate III: Laboratory assistant in a variety of industry settings eg food industry, pathology laboratory, schools. Certificate IV: Technical assistant in a variety of industry settings. Students will learn in simulated laboratory environments, through eLearn (online) and self-directed learning. Teachers will assess students through practical observations and knowledge assessments. 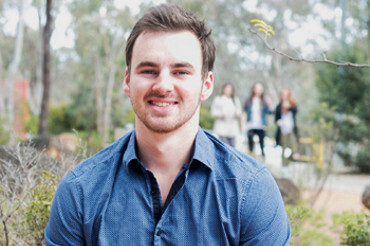 Students who successfully complete the Certificate III in Laboratory Skills and the Certificate IV in Laboratory Techniques may gain entry into CIT’s Bachelor of Forensic Science (Crime Scene Investigation).